Happy Thursday Babes! 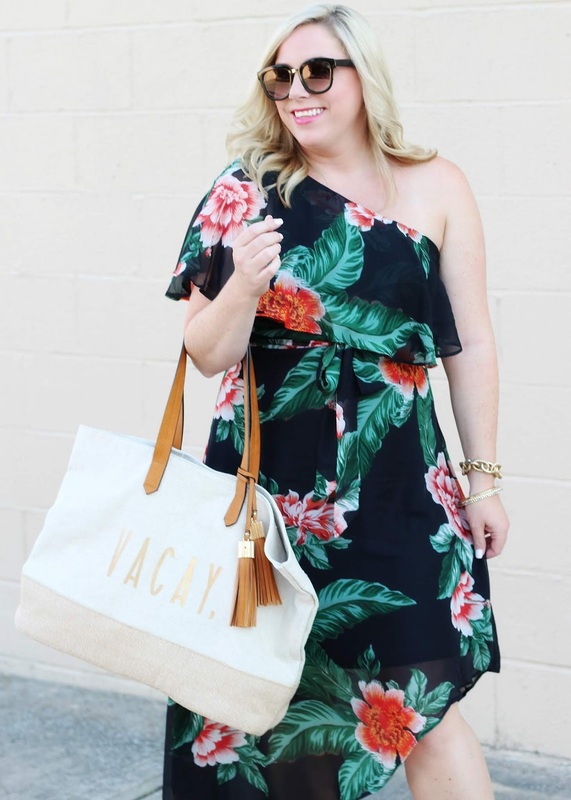 Summer is flying by and the end is drawing near so, it's time to sneak in those last minute vacays and today I have the perfect outfit with all the right vibes! 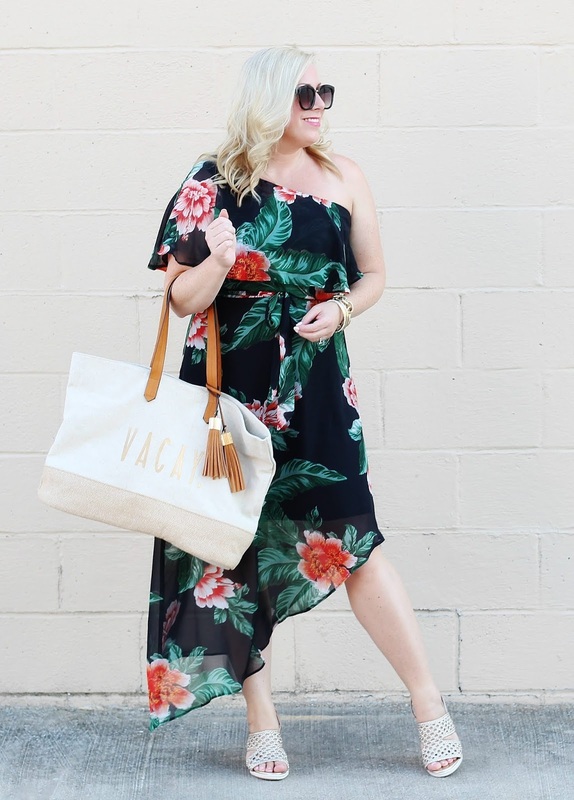 I spotted this One Shoulder Floral Chiffon Dress at Roz&ALI while I was shopping the stores at Summit Fair this week and couldn't stop thinking about it. I actually saw it but didn't get it, then ended up going back for it later because I couldn't get the gorgeous print and fun silhouette off my mind. 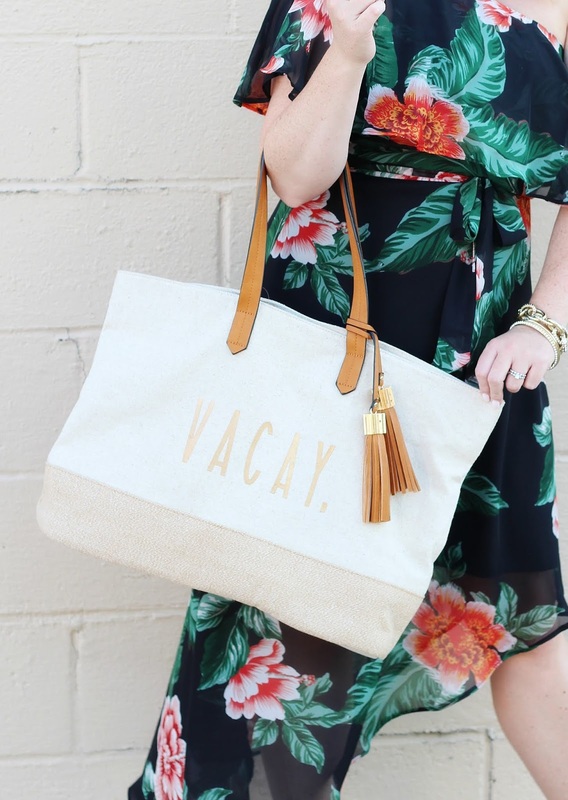 It's literally the perfect summer style and perfect for vacation! 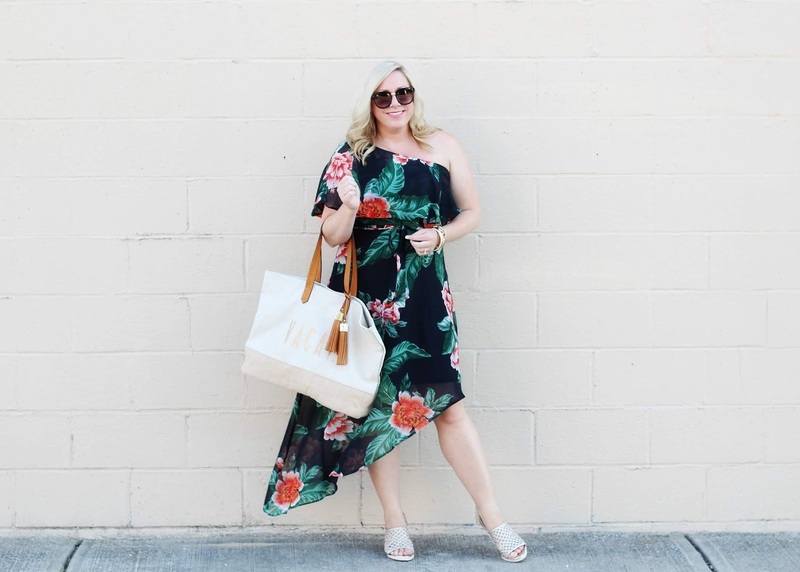 Roz&ALI has an amazing sale going on right now. Extra 30% OFF Clearance and Markdowns up to 70% OFF!!! Stop by Summit Fair this week because there are many more deals happening in-store right now! 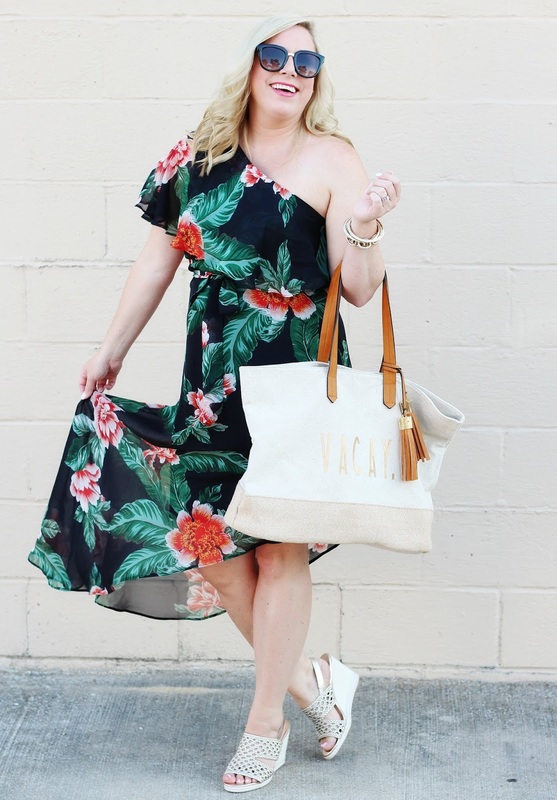 Your tropical-print one-shoulder dress, tote and wedges are all perfect for a beautiful beach Summer vacation. 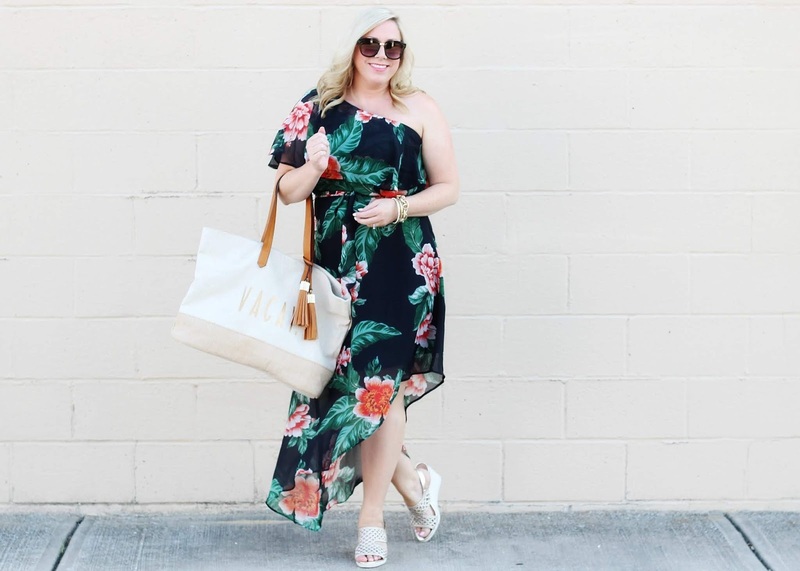 LOVE THIS LOOK, JANA!